The beautiful GHORV park has five tracks for riders to enjoy. Photo courtesy: GHORV. From the coast to the forest, there are many areas that make Grays Harbor a delightful place to settle down or visit. One that entices people from both near and far is the Grays Harbor ORV (GHORV) park on the rim of McCleary. 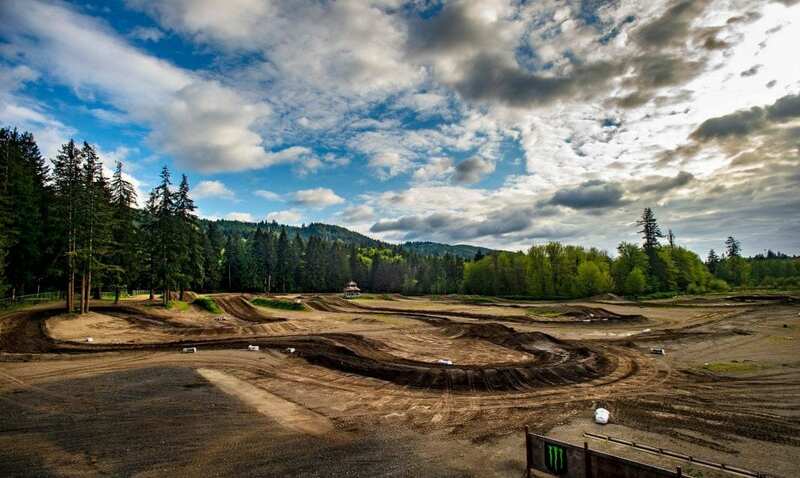 The expansive park has multiple riding tracks and ever-growing services under the newest promoters that took on the lease in 2017. GHORV is a great place for adults and children to get in some riding time between March and October. Photo courtesy: GHORV. The holidays have officially here and that means everything from yule logs and parties to extravagantly decorated homes and lots of cookies for all to enjoy. 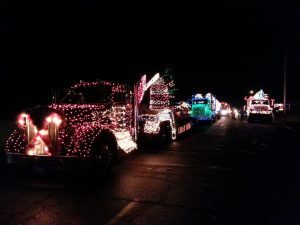 Something especially bright is the Festival of Lights weekend hosted by Montesano that brings everyone together for some Christmas time merriment. 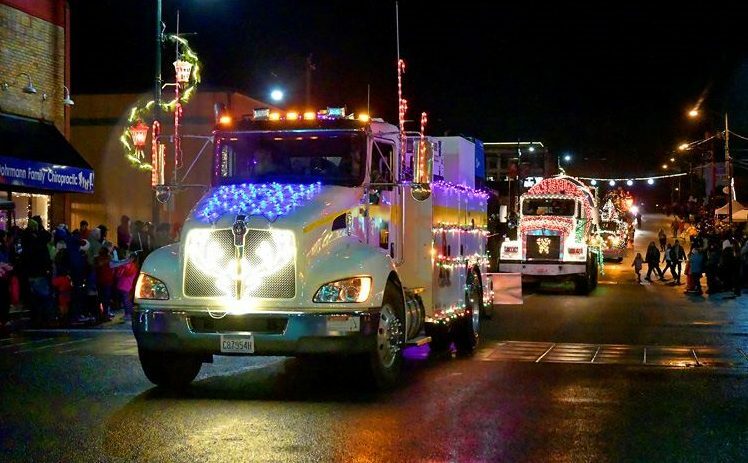 Don’t miss out on the festivities planned for Friday, December 7 through Sunday, December 9. There is something new and fun to check out this year with the Jingle Lights light show that used to be done in Central Park, now happening during the Festival of Lights. The magic of the season comes through in Montesano this time of year as people help each other to bring alive the spirit of the holidays. A committee works tirelessly to put on the festival, but dozens of people also help through doing everything from decorating to hosting events. Further, the event is made possible by a generous grant from the Grays Harbor County Department of Fair, Events and Tourism. Clash of the Cowboys Rodeo. Rodeo with the Jessie Leigh Band. Saturday October 27th. Show starts at 7 PM .Doors open at 5 PM. At The Grays Harbor County Fair And Events Center. Presale tickets are $12 at the Elma, Centralia and Olympia Les Schwab Tire Stores and Monte Farm and Home. $15.00 at the door. Sponsored by Budlight. ELMA, WA – Sept. 10, 2018– The Grays Harbor County Department of Tourism is now accepting applications for three tourism-related grant programs. Under State law (RCW 67.28) Grays Harbor County receives funds from room taxes imposed on lodging facilities. These funds can be retained and utilized by the County for tourism promotional operations, or expended for projects and activities established by an eligible entity under State law. Grays Harbor Tourism Grant Applications will be accepted from qualifying non-profit entities organizing tourism based activities within Grays Harbor County, except those municipalities that are allowed by law to collect and manage 3% lodging tax revenues generated within their corporate limits. 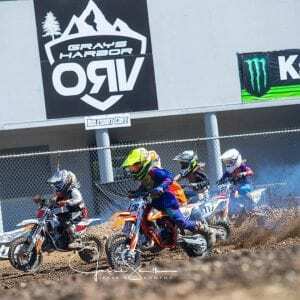 Grant funding is provided to increase tourism activity within Grays Harbor County. Full details regarding what is a qualifying organization, and/or expense, is available on the appropriate grant application. Applicants with additional questions can contact the Grays Harbor Tourism Office, which allocates more than $300,000 in grant funds annually. Applications for grant funding are available from the Grays Harbor Tourism office, or can be downloaded from the Grays Harbor Tourism website www.visitgraysharbor.com . For more information, contact Kelly Peterson-Lalka at 360-482-2651 or petersonk@co.grays-harbor.wa.us. Now that summer is upon us, fair season is officially on the horizon. The Grays Harbor County Fair in Elma has big plans this year with a variety of entertainers scheduled to perform that will surely delight your family. From comedy and magic shows to country music and esteemed tribute bands, this year’s fair entertainment is setting up to be a blast. Professor Bamboozle is a truly unique performer that will be appearing daily at the fair. His interactive magic and illusion show, complete with balloon animals, comedy, and magic is fun for the whole family. In 2016 he was honored as the service member of the year by the Washington State Fairs Association. 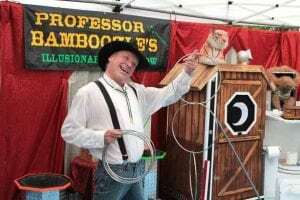 The show, sponsored by the Great NorthWest Federal Credit Union, is free with fair admission, and you can find Professor Bamboozle each day of the fair beginning on August 8 and ending on August 12. Looking for another fun-filled attraction sure to entertain the whole family? Steve the Pretty Good will be performing his comedy and magic show daily at the fair this year. In his action-packed show, performer Steve Hamilton presents some of the classic magic acts with a unique and refreshing twist. Steve’s show, presented by Overstock.com, is highly interactive, and the audience is encouraged to participate in a number of acts. This is a show that will entertain both children and adults alike and is free with fair admission. Bringing over 50 years of recording history, the critically-acclaimed country and folk group, the Nitty Gritty Dirt Band, sponsored by House Brothers Construction, will be performing on the Pepsi stage at the fair on Wednesday, August 8 starting at 8:00 p.m. This band has truly been influential to country and American roots music, with multi-platinum and gold records, numerous top ten hits, and multiple Grammy, IBMA, CMA awards and nominations. Their 1972 “Will the Circle Be Unbroken” album was even inducted into the U.S. Library of Congress and the Grammy Hall of Fame. They have created fans of all ages with their legendary hits such as, “Mr. Bojangles” and “Fishin’ in the Dark”, and are sure to put on a show that will be enjoyed by all. Don’t miss your chance to see the original Nitty Gritty Dirt Band this year. Reserved, Golden Circle Tickets are just $25 each, and includes fair admission. Limited, general admission bleacher seating is available, free with paid fair admission. Johnny Cash fans and music lovers alike will enjoy Dan Whym’s tribute performance. Another fantastic entertainer joining the fair this year is Dan Whyms, who performs a one of a kind tribute to Johnny Cash. 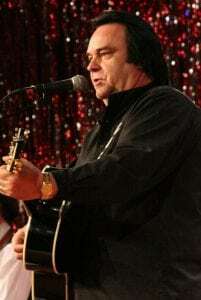 A resident of Grays Harbor, Dan’s performance of Johnny Cash’s iconic collection of music is not to be missed. “Johnny Cash inspired my love of music,” says Dan. “He’s been the inspiration for me to learn the guitar, to write, and to perform.” You can enjoy Dan Whyms’s Johnny Cash tribute at 4:00 p.m. on Thursday, August 9 and the show is free with your paid fair admission. 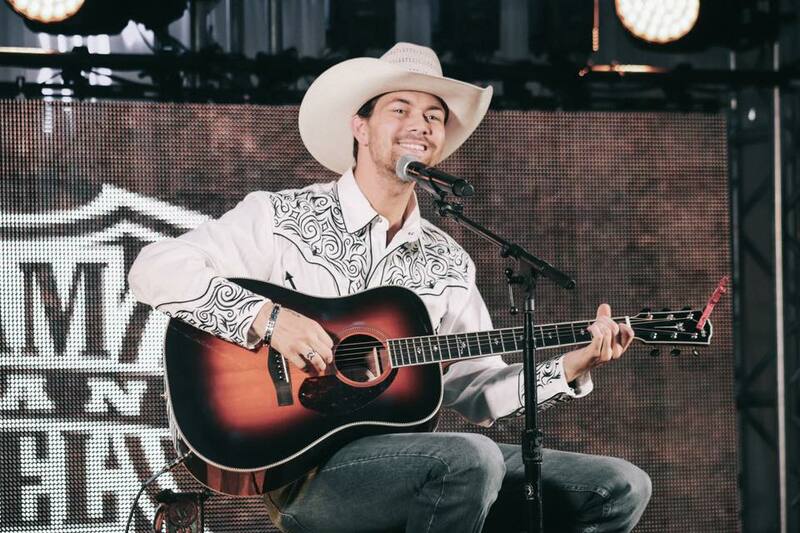 Hailing from Mississippi, country entertainer, William Michael Morgan, Sponsored by Big Foot 107.3 FM, will perform on the Pepsi Stage on Thursday, August 9 starting at 8:00 p.m. Since his debut album in 2016, Morgan has been a fresh voice in the country scene and already has multiple top ten songs on the Country Airplay charts, including, “I Met a Girl”. “George Strait, Merle Haggard, Marty Robbins, and George Jones, are the people that I grew up listening to and was influenced by,” says Morgan. Limited, general admission, bleacher seating is free for this show, with paid fair admission. Reserved, Golden Circle seating is also available at just $25 each, and includes fair admission. Humptulips is ready to rock at the fair this year. 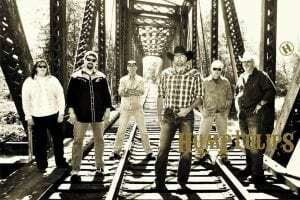 On Friday, August 10 at 7:30 p.m. on the Pepsi Stage, the legendary Grays Harbor-based country band Humptulips will be performing with special guests Erica Corbin and Tony Wintrip. Winners of the 2014 Battle of the Bands in Portland, Humptulips brings a high energy sound to the stage, and excels at drawing large crowds to their performances. With backgrounds in rock and country music, Humptulips band members create a unique fusion of the styles in captivating shows. Be sure to check out this exceptional performance, presented by Bayview Building Materials of Elma. The show is free with your paid fair admission. Hailed as North America’s most authentic sounding Creedence Clearwater Revival tribute band, Green River Revival is going to be rocking out at the fair on Saturday, August 11 at 8:00 p.m. This group has performed throughout America, Canada, and Scandinavia for over two decades, spreading the sweet sounds of John Fogerty and Credence Clearwater Revival. Featuring hit songs such as “Bad Moon Rising,” “Proud Mary,” and “Up Around the Bend,” this is sure to be a performance to remember. Don’t miss this special event that is free with your paid fair admission, sponsored by the Vaughan Company. Now that you know about the entertainers performing at this year’s fair, it’s time to start planning your visit. The Grays Harbor County Fair, with all of its carnival rides, games, animal exhibits and delicious fair food, begins on Wednesday, August 8 and ends on Sunday, August 12. Hours are 10:00 a.m. – 10:00 p.m. on Wednesday, Thursday, and Friday. On Saturday, August 11 the fair is open 10:00 a.m. – 11:00 p.m. and on Sunday, August 12 the hours are 10:00 a.m. – 5:00 p.m.
Fair admission is $10 for adults (ages 16-62); $7 for seniors (ages 63+); $7 for youth (ages 6-15); and children five and under are free. Fair admission is $2 off with military ID; $2 off youth admission on Thursday; free admission from 10:00 a.m. – 11:00 a.m. on Sunday; and $1 off admission with a Bi-Mart card and photo ID on Sunday. Daily parking is $5. Presale Carnival Ride Wrist Bands are on sale now at the Elma, Montesano and Aberdeen branches of Anchor bank, at the discounted price of just $22. New this year, Golden Circle reserved seating concert tickets, and discounted Carnival Ride Wristbands can also be purchased on-line at the Grays Harbor Fairgrounds ticket box office. Just go to the ghcfairgrounds.com website to connect to the link and purchase these items from the comfort of your own home. See you at this year’s Grays Harbor County Fair, in Elma! Are you an ARTIST and interested in attending for FREE? Are you an Artisan/Craft Vendor that would like more information on this event? Please email aberdeenartwalk@gmail.com to inquire and state if are a fine artist or artisan/craft vendor. Qualifying ARTISTS received a FREE booth space (in effect since 2014). In the email describe what you do and attach photos of your work. Qualifying Artist: a visual art considered to have been created primarily for aesthetic and intellectual purposes and judged for its beauty and meaningfulness, specifically, painting, sculpture, drawing, watercolor, pen/ink, metal, photography, visual, performance (music, dance, entertainment), literature, graphics, and architecture. On Saturday, July 28th, 2018 in the heart of Downtown Aberdeen on Hwy 101 will be the 20th annual Aberdeen Art Walk from 10 am to 5 pm. Enjoy the works of artists and vendors from all over Western Washington as is energized event rocks Downtown Aberdeen core with over 100 artists and vendors displaying their talented works including street entertainment, kid’s activities, and live music, yummy food, Beer Garden, Pet Costume Contest, and more. This event includes talented artists and artisan crafters from western WA set up on two blocks of Broadway (closed) and one block of Wishkah going through the middle of Downtown Core on HWY 101. Live entertainment on the main stage begins 10 A.M. which will include performances by several local talents. The Pet Costume contest starts at 12 noon. 2018 is Annual Art Walk’s 20th Anniversary and we are excited to add an evening street dance on Broadway between both sides of HWY 101 (between Wishkah and Heron). Have fun on a summer night dancing, listening to music, watching an amazing show, and enjoying the beer gardens. Don’t forget the Art Attack Fun Run on July 29th at the Bishop Athletic Center. Race fees are $15 per person. Registration starts at 8:30 A.M. and race begins at 9 A.M. The Annual Aberdeen Art Walk is not affiliated with any other events or businesses. Westport Winery released the latest vintage of Duckleberry Grunt last weekend featuring new label art by Jill Neal, known for her Wild (but tasteful) Women series. With this label the winery highlights The Legend of Bigfoot’s Wife. You may have noticed that we are only ever shown photos of Bigfoot, and not his wife. One can only suppose this is because she is wearing camouflage, thus making her nearly invisible in the Northwest woods. At our winery, you know we have always bordered our Duckleberry Grunt label in camo, so we made the jump that this should be her label. And what kind of career might you expect from someone who boasts big feet? Well, we think that creature would most likely be a winemaker, able to stomp more fruit than most. At the same time we are designing a Sasquatch Habitat Garden in the farthest reaches of the 15-acre display garden. Since this area is planted with huckleberries, and these are likely primary forage of Sasquatch, it made sense that the wine made by the Bigfoot family would be Duckleberry Grunt (originally a blend of huckleberries and Gewurztraminer but now with blueberries). So we created this silly label with Mrs. Bigfoot stomping in a “duckle” barrel while wearing her camo bikini exposing the telltale Bigfoot tattoo on her derriere. We will not be surprised to have Bigfoot sightings in the near future up on Bigfoot’s Huckleberry Hill. To assist in this search for the elusive creature the winery carries numerous Bigfoot products in their gift shops including a Bigfoot Adoption Kit, a Sasquatch Field Guide, and The Boy Who Cried Bigfoot. We also have a few one-time-only quarts of Duckleberry Grunt sorbet from Olympic Mountain Ice Cream in the grab and go freezer in our gift shop while supply lasts. Westport Winery Garden Resort’s burgeoning Sasquatch Habitat can be found at 1 South Arbor Road, halfway between Aberdeen and Westport, Washington. Their Seaside, Oregon tasting room and gift shop is at 810 Broadway. For more information call the resort at 360-648-2224. In response to numerous requests for more information explaining her designs she has agreed to lead a two hour Guided Garden Tour at 2pm every Sunday in July and August. The cost for this personal walk through her living art is $10 per person and it includes a glass of wine or juice. In addition to Roberts’ passion for gardening she has a great enthusiasm for yoga so she will teach a free one-hour Beginner Yoga class in the Meditation Garden every Sunday at 9am in July and August. Yoga students (yogis) are welcome to stay for brunch in the Sea Glass Grill. Students who own yoga mats are invited to bring them as no equipment will be provided for this yoga on the lawn. Reservations are not required to join in either of these outdoor activities. Guests are encouraged to wear comfortable shoes, layered clothes, and sunscreen. Guests for either of these opportunities should meet in the tasting room ten minutes prior to the start of the tour or class. In 2017 the Westport Winery was named Greater Grays Harbor Business of the Year. The Sea Glass Grill at Westport Winery Garden Resort was voted #2 winery restaurant in the nation by USA Today. The business has been voted Best Winery by King 5 Evening Magazine. In 2016 Westport Winery was honored as one of the top twenty most-admired wineries in North America by Winery & Vineyard Management Magazine. The business earned Best Winery, Best Wine Shop, and Best Boutique Winery for 2016 by South Sound Magazine. They received the Grays Harbor Environmental Stewardship Award in 2015. They were named the Best Washington Family Business Silver Medal winners in 2012 by Seattle Business Magazine. And in 2011 they garnered Washington Winery to Watch by Wine Press Northwest. In Oregon, Westport Winery Seaside is open daily from 11am to 6pm and until 8pm on Friday and Saturday. Westport Winery TASTING @ Cannon Beach is open Thursday through Monday from 11am to 6pm. Family-friendly Westport Winery Garden Resort is located on the corner of Highway 105 and South Arbor Road halfway between Aberdeen and Westport. The Sea Glass Grill at the resort is open daily or breakfast, lunch, and dinner from 8 a.m. to 7 p.m. and until 8 p.m. on Friday and Saturday. For more information or reservations call 360-648-2224.